Use the tennis court colorizer to create your own tennis court color combinations. Colors viewed on your monitor will vary slightly from color of product in container. Tennis, Basketball, Volleyball, Multi Purpose, & Other Courts. Construction | Resurfacing & Repair | Cleaning & Maintenance | Products & Accessories. With decades of experience the Master Systems team adheres to rigorous standards while delivering the best value through competitive pricing, unparalleled customer service ensuring that your court(s) will be built right, on time and to last. You can depend us to be responsive, accessible and passionate about your court project. Master Systems is relentlessly focused representing quality and committed to uncompromising ethics. We are bonded, insured and stand behind our work. 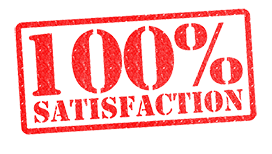 Our highly satisfied customers is proof to our high standards which is why the largest part of our business comes from referrals. Skilled and expert craftsmen with deep experience designing and building courts in all types of environments and terrains will transform your project into a beautiful functional court that works in your desired location. Our trained and experienced team will see the project through every phase. For over 25 years we have represented proven stability. You can depend on us to be there throughout the project and for all your court maintenance needs today, tomorrow and beyond. At Master Systems, we believe that making your court a reality is the result of close collaboration. We have worked with hundreds of customers and achieved outstanding results. We guarantee the quality of all of our work and are fully licensed and insured. All of our construction and design professionals are employees of Master Systems and are fully covered under our company insurance policy. A Premiere Provider of Professional Residential and Commercial Court Construction, Resurfacing, and Repair in the Dallas-Fort Worth Metroplex for over 25 years.